Does your website offer a singular brand experience? Your website needs to showcase your brand in more ways than one. It’s easy to share your story on an About Us page – and you should. But your ideal clients need to see more than just words to understand how you differentiate. Your website should use images that reflect your brand’s personality. It should contain an easy-to-understand user interface and menus that echo your language. This is the beginning of what is known as brand experience. For example, if your organization interacts with hearing-impaired consumers, any video on your site should use captioning to best connect with them. Each facet of your site should be designed with your clients in mind. User experience is more than just clicking to reach the correct page. It is about your brand promise and attributes – and how your visitors interact with your organization. What is your organization’s brand promise? Is this promise presented on the home page? Remember, a unique brand promise allows your organization to differentiate. Who are your customers? Does the home page show pictures of your real clients, or at least those who could be real clients? Your messaging will appeal to your target audience if you have them in mind from the beginning. What are your brand attributes? If your archetype is the magician, is your language inspiring and transformative? Human characteristics give life to a brand. Does your website maintain a singular brand message? Prospects may have seen an ad for your business elsewhere. When they go to your website, do they get the same vibe? Are the colors, images and words the same, or at least similar? If your website looks nothing like your ads, you’re sending mixed messages – and creating confusion. Does your content offer value? Clients are looking for more than a sales pitch. They want valuable content that enriches their lives. No matter what product or service you are selling, offer content that makes an impact. 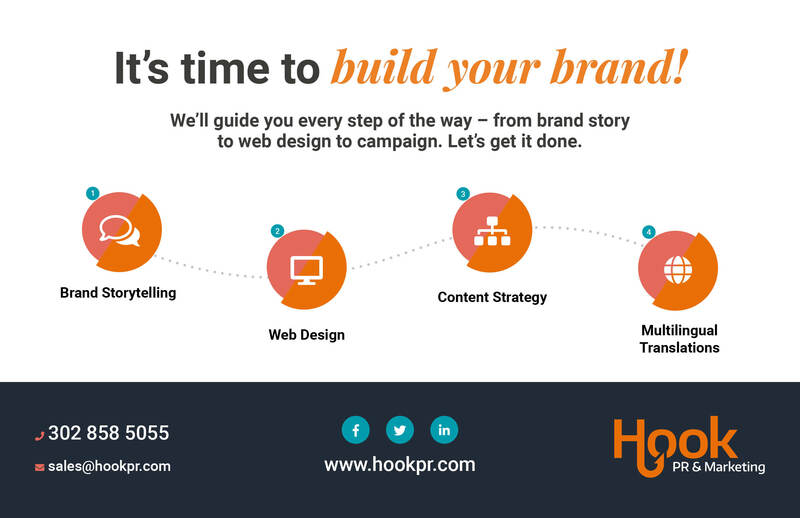 If your website doesn’t quite hit the mark, that’s OK. Hook PR & Marketing can design a website that has your organization’s story and clients in mind. Writer Rachel Swick Mavity contributed to this article. Patricia V. Rivera is a marketing consultant and founder of Hook PR & Marketing in Lewes.